Commercial Freezer Repair, Auburndale, FL | Johnson's Mechanical Inc. Commercial Freezer Repair, Auburndale, FL | Johnson's Mechanical Inc.
We have more than 30 years of experience providing commercial freezer repair in Auburndale. The truth is that commercial freezer repair never comes at a convenient time, but it’s more important to keep your equipment working than to sacrifice your frozen products! 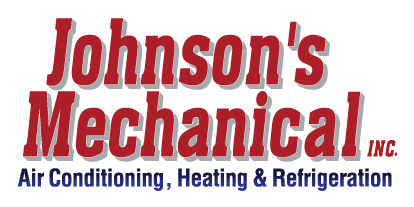 At Johnson’s Mechanical Inc., we know you rely on your cooling equipment to maintain your products and to help you provide the services your customers require in Auburndale, Florida. That’s why we offer fast, reliable commercial freezer repair that will keep your freezers working their best. There are several important reasons to make our team at Johnson’s Mechanical Inc. your first call when you need commercial freezer repair. Not only do we offer 24/7 emergency services to meet your needs, but we also have more than 30 years of experience providing commercial freezer repair and commercial cooler repair solutions. Whether you need a quick fix or a major repair, or if your freezer ends up needing to be replaced, we can provide the services you need to get the best results. When you call on us, we’ll do everything we can to limit interruptions to your business day and ensure that your commercial freezer repair offers the solutions you need most. In addition to our commercial freezer repair services, you may also find that our maintenance plans are a great way to keep your business’ equipment working well day in and day out. We’ll be happy to set up a plan that works well for your business and your budget. Contact us today if you are experiencing a concern with your coolers or freezers. We are here to help!